Can you make your own fresh bacon at home? 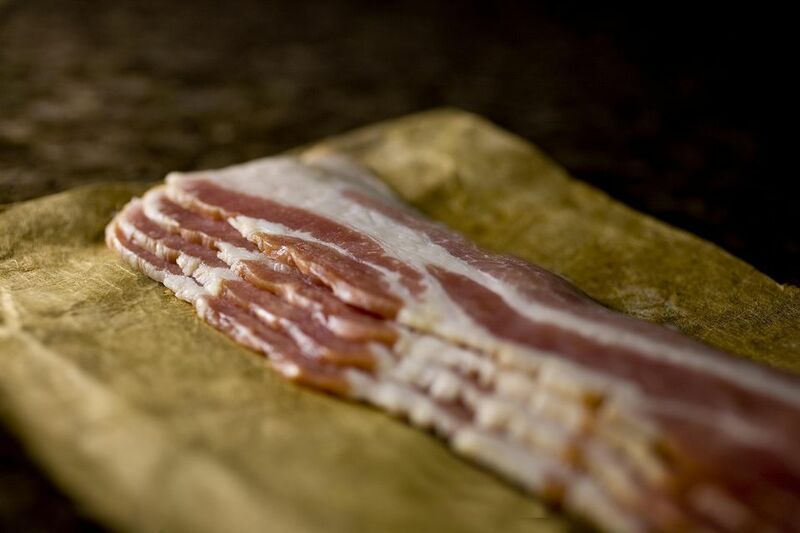 This method is for a (relatively) quick, uncured, unsmoked, fresh bacon. Whether it's for a nice BLT, or to serve next to eggs for breakfast, making your own fresh bacon is a fun and delicious project. Combine the spices and coat the pork belly thoroughly all over. Wrap snugly in two layers of heavy-duty aluminum foil. Place in a roasting pan and cook for 3 1/2 hours. Turn off the oven and leave the pork inside to cool for 1 1/2 hours. Remove and refrigerate overnight. Unwrap the pork belly and scrape off any gelatinous juices. Cut into thick slices and brown in a pan just as if you were cooking bacon. A little extra fat from the foil can be added to the pan to help get things going. Drain on paper towels and sprinkle with more salt if needed.